I am sad to say that today at 3:40 pm Lacey lost her battle with cancer. She was about 2 1/2 yrs old, only a baby, and a darling dog. She was originally an ABR dog and up for adoption. She was rescued by Jimmy in a small town north of Georgetown. A Good Samaritan watched as she was dumped from the back of a pick up truck on an old dirt road. 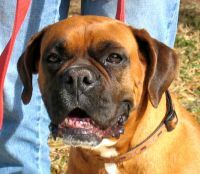 When she entered the program it was discovered that she likely had a few litters and was heartworm positive. She was taken to the vet to begin heartworm treatment and her prescreening chest x-rays revealed a huge mass in her chest. Jimmy had already fallen deeply in love with Lacey and it was apparent that she could not be adopted out in her current condition. Jimmy opened his home to Lacey knowing that he would be a temporary home for her because her time would be limited. She soon began her chemo treatments to help extend her life as long as possible. After a 6-month battle, sweet Lacey lost her fight. The only thing Lacey never lost was her love of life and her sweet nature. 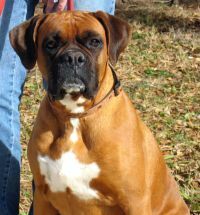 Her daddy said, “She is a great girl, very sweet, very affectionate, and good with other dogs. This is an easy girl and anyone would be very lucky to have her live out her days with them. I really like this girl.” Lacey loved everyone she met, but she most especially loved her foster mommy and daddy. They devoted their time, energy money and love to Lacey to ensure that she would receive the best possible end to her life.